WordCamp Sunshine Coast was held recently on the 7th – 8th May 2016 at the Innovation Centre Sunshine Coast. This is the first time in Australia a single state has hosted a WordCamp in consecutive years, with Brisbane hosting their first WordCamp in 2015, and additionally it’s the first time there will be multiple Australian WordCamps in one year with WordCamp Sydney scheduled for September this year. It was an absolute honour to speak at WordCamp this year. Many of my fellow speakers are people I look up to and admire and it was a privilege to to be mentioned alongside them. Click here to view the details of my presentation. There were three tracks, a user track, a business track and a developer track, with talks spread evenly across all three tracks, with two presentations usually running concurrently. Additionally, there was a single Hallway Track talk where Dion Hulse provided a preview of a redesign of the plugins directory, which is set to launch during WordCamp Europe. The keynote was delivered by Dee Teal, who spoke about preparing for change, and it very much set the tone for much of the weekend. 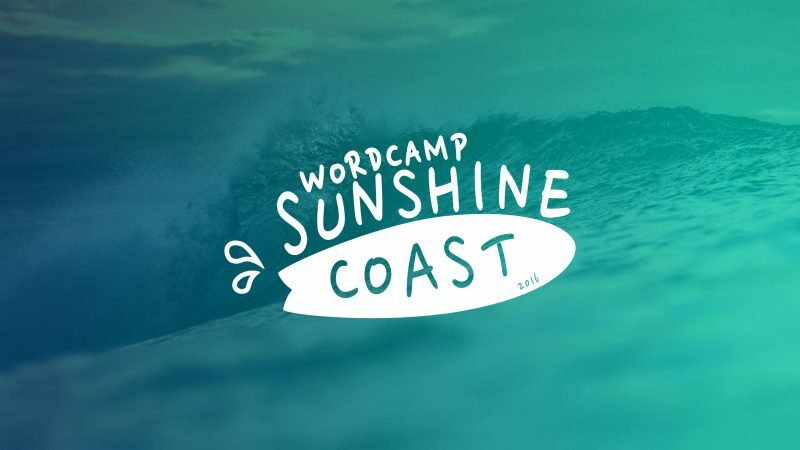 The speakers’ slides from the weekend have been collated over at the WordCamp Sunshine Coast website. The video recordings of the sessions should be uploaded to YouTube and/or WordPress.tv some time over the following months. You can also browse proceedings of the weekend on the #WordCampSC hashtag on Twitter and Instagram.